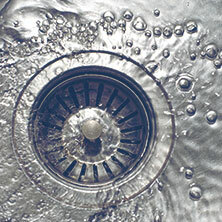 If you are in need of a full-service drain company in Cambridge, Massachusetts, you found what you’re looking for! Dash Drains is based out of Beverly, but we are proud to bring our plumbing and drain services to a wide region of Massachusetts, including Cambridge. Take a look at a few of our most popular services below! General Plumbing Services: As your Cambridge plumbers and drain cleaners, we provide all of your general plumbing services from fixing leaks to draining your water heater. 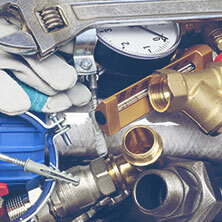 Preventative maintenance and regular inspections are the keys to preventing a major plumbing issue. Septic Tank Cleaning And Inspections: Septic tanks should be inspected every year to check the levels of waste and ensure everything is working right. If you are experiencing a sewer smell near your septic tank, you might have a leak which our team can take care of. If you are looking for septic tank cleaning in Cambridge, we’ve got you! 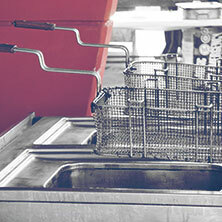 Grease Trap Cleaning: Cambridge, MA restaurateurs know the importance of regular grease trap cleaning services. Our team isn’t afraid to get our hands dirty and go the extra mile to leave your grease trap clean and free of hardened-on grease. Drain Camera Inspection: Our crew can feed a small drain camera snake through your pipes to look for potential issues, find lost items, and examine the general state of your pipes. 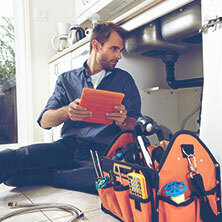 If you are in the process of purchasing a home, we can use our equipment to ensure you aren’t unknowingly inheriting bad plumbing. Drain Unclogging: If your drains are moving slowly or are completely clogged, we have several ways to clearing out blockage without using harsh chemicals. We can use a pipe snake to remove a blockage or use a high-pressure drain jetter to blast away stubborn clogs and sludge. Underground Pipe Location: Cambridge, Massachusetts property owners should always know the location of underground pipes near their property before breaking ground on a construction or landscaping project. Our pipe location services can find both metal and non-metal pipes. Emergency Plumbing Services: Sometimes plumbing issues can’t wait. If you are experiencing a plumbing emergency (no water coming through pipes, a broken water line, flooding, no hot water, a sewer system backup, or a burst pipe, for example), do not hesitate to call us. We are proud to be the emergency plumbers Cambridge, MA residents can rely on. Whether you need grease trap cleaning in Cambridge or septic tank pumping, plumbing maintenance or an emergency plumber in the middle of the night, we can take care of it. No problem is too big or too small for the drain specialists at Dash Drains! Call us today!